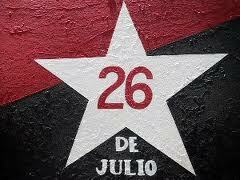 The 26th July 1953, a very important date in the history of Cuba and particularly the city of Santiago. It was on that date that Fidel Castro and 128 comrades set out in the early hours of the morning, from a small farm near the seaside town of Siboney, to launch an attack on the Moncada Barracks in Santiago, the second most important military installation of the government of Cuban dictator Fulgencia Batista. Although militarily unsuccessful, the events of that day were to change the course of Cuban history and lead to the Triumph of the Cuban Revolution five and a half years later. Batista had come to power in a military coup one year earlier, in March 1952. His government, brutal, corrupt and incompetent, was hugely unpopular. Fidel Castro and a group of like-minded young men and women, primarily from Havana, decided that it would be necessary to take direct military action against the dictatorship. Plans were laid for an audacious attack the following year. A small farm house was rented in Siboney, about 10 miles from Cuba’s second city, Santiago, ostensibly to establish a small chicken farm, but in reality to store weapons and uniforms and to provide a base for the planned attack. Military training was undertaken in order to prepare for the operation. The precise details of the planned events were known by only a small group, only one of whom was a native of Santiago. On 24 July the group travelled to Santiago, staying in a hotel and lodging houses in the city. The arrival of groups of young men and women from the capital aroused no suspicion, because this was during the annual week-long carnival, when many revellers would descend on the city. On the night of the 25, 127 men and 2 women made their way to the small farmhouse (now a museum named the Granjita Siboney). At 4am they set off in three convoys, one led by Fidel Castro, whose task was to storm the barracks itself; the second, led by Fidels’s brother Raul, intended to take the Palace of Justice, which overlooked the barracks; the third group was led by Abel Santamaria, with the task of capturing the civil hospital which also overlooked the military complex. Simultaneously, an attack took place at the Carlos Manuel de Cespedes barracks in Bayamo, with the aim of preventing reinforcements being sent to Santiago from that city. The audacious attack did not go well. Although the soldiers, many of whom were presumably hungover from the celebrations of the previous night, were taken by surprise, they managed to repel the attack on the barracks. Fidel’s group managed to escape, after five were killed in an exchange of gunfire, as did Raul’s contingent. The unluckiest were Abel Santamaria’s group of 20, who were cornered in the hospital. Most were savagely tortured before being summarily executed. Those who had escaped tried to seek refuge in the nearby countryside. Many were captured and murdered. In total, 61 assailants lost their lives, either on the day or those that followed. The widespread public revulsion at the brutality of Batista’s forces’ response meant that those who were captured in later days were spared their lives. This included Fidel, who was captured in the nearby mountains. Although the attack was militarily unsuccessful, the sheer audacity of it and the savage response of Batista’s forces ensured that public sympathy was firmly on the rebels’ side. Fidel was tried in a makeshift court room in the civil hospital, on 16 October 1953. Representing himself, Fidel turned his defence into a scathing attack on Batista’s regime and outlined a manifesto for an alternative future. He concluded with the immortal lines: “Condenadme, no importa, la historia me absolvera” (Condemn me, it’s not important, history will absolve me). 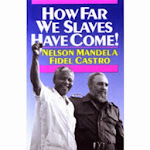 The speech was smuggled out of prison and widely distributed by Fidel’s supporters. The subsequent course of history is well known. Fidel was imprisoned and then granted an amnesty two years later, after which he went into exile in Mexico. At the end of 1956, along with his brother Raul and a young Argentine named Ernesto (Che) Guevara, he returned to Cuba on the yacht the Granma. The survivors of the landing regrouped in the Sierra Maestra mountains and launched a two year guerrilla war in which they defeated Batista’s numerically superior and better armed troops. On 1 January 1959, from the steps of Santiago’s town hall, Fidel was able to publicly announce the triumph of the revolution. Without the events of July 26 1953 the subsequent course of Cuban history would have been different. It is a date that the Cuban Government is determined to ensure is remembered, along with the sacrifice made by those who lost their lives on that day. Each July 26 there is a ceremony at the site of the barracks, in which schoolchildren re-enact the events of that day. The barracks is now a school, with a museum. The grounds of the barracks are now a sports field, for use by local schools. There are museums at the Granjita Siboney, at the Moncada Barracks and in what remains of the civil hospital, including the room where Fidel was tried. On the road between Siboney and Santiago are 26 monuments, containing the names of those who lost their lives on that day. On the site of the civil hospital is a park named after Abel Santamaria, with a monument containing his image. At Bayamo, what remains of the barracks is also a museum, along with the small hotel where the assailants stayed the night before the attack. I would strongly recommend anybody interested in the Cuban Revolution to visit Santiago and Bayamo and to see for themselves the sites of those historic events of 26 July 1953, when the course of Cuban history was changed. 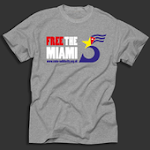 This article was written by Mick Shaw, former FBU President, for CubaSi magazine.